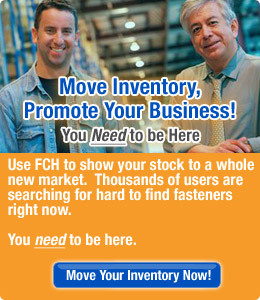 Search through tens of thousands of military fasteners in the FCH database of surplus, odd lot, slow-moving and hard to find fasteners. Just click a link below. This is the start of a list of common milspec parts. FCH has always tried to translate Milspec items to their commodities: in this way they are available to the public who may not know the meaning of the Milspec numbers. We hope to grow this list, to make it useful to users and search engines, so if you can suggest others (that you may have), please let us know.